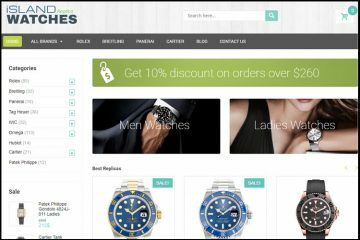 Indeed, it is very easy to claim that you sell the best watches, but when it comes to online replicas we simply can’t take everything for granted. We need to check by ourselves which merchants are really reputable and which ones aren’t. Doing this is really easy if you possess a few useful tricks like the ones below. Keep reading to find them out! 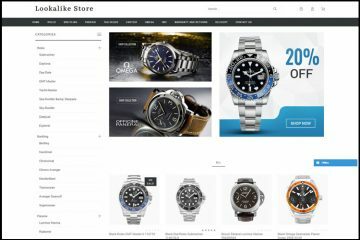 The website of Bestwatches.cn isn’t very impressive, but it isn’t unaesthetic either. It has everything one would expect to find on your average replica watches online store. It has a white background, no wide sliding banners, a main menu on top of the page, a brands’ list in the left side, a short text in the center and numerous sponsored products in the bottom part. Even though it has numerous design elements, it isn’t too bulky or too tiresome. It appears to be easy to browse and intuitive. This merchant doesn’t sell just watches. It also offers Sunglasses, Handbags and Ugg boots. 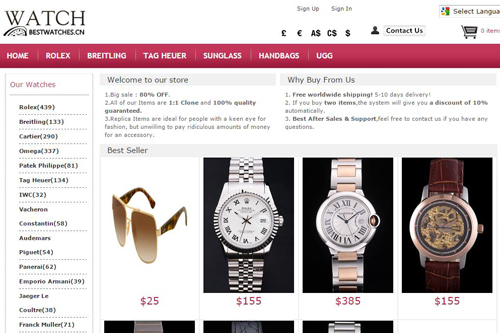 It is basically an online mall with a various range of replica designer products. Still, today we will focus only on its replica watches collection. A part of these items are included in the top side menu bar where we see the buttons for Rolex, Breitling and Tag Heuer- some of the most popular brands. The rest of the brands can be found in the very long left side list. This endless brands menu includes pretty much all the brands there are out there. Every category features a couple hundred models and these are organized into sub-categories. But because there are so many of them, browsing isn’t that smooth. An advanced search would have made things a lot easier. 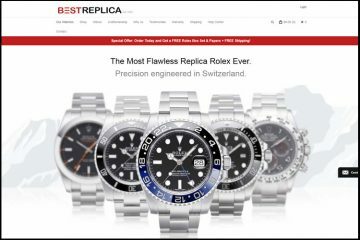 As you have probably noticed, all over the Internet, Japanese replica watches are very affordable while some Swiss fakes are surprisingly pricy. It’s the same thing with Bestwatches.cn. While the replicas that feature a 21 jewels Japanese automatic Myiota movement cost about $100-$170 the ones that have a 25 jewels Swiss self-winding ETA mechanism vary between $400 and $700. $700 is a lot for a replica even if it is a Swiss one, but in the end it depends on your budget and quality expectations. I’m not sure if it has the best watches, but one thing I am certain about- this company has some of the best product pictures I have seen. Its fakes offer very good quality and detailed images. When you look at these photos you can see all the details that count for determining their quality- the dial, the case, the sides of the case, buttons, caseback, the clasp and bracelet. Everything is clearly photographed so you can decide whether it is the right clone for you. What can I say? I have my own beliefs. I believe that if a replica watches online store accepts only credit card payments then it can’t be trusted. No matter how keen your bank may be to verify and secure each transaction you make, I just do not think that entering your info on a page that isn’t encrypted is such a good idea. This company’s payment page form does not have the https and no reputable merchant will ever offer just card payments. Liable and trustworthy websites provide alternative payment methods, like Western Union, Bank Wire and Money Gram. One of the best things about Bestwaches.cn is that is offers free worldwide delivery. It can ship your order in any country in the world without charging a dime. You got to appreciate this! But the downside is that the store uses regular mail for dispatching your package. This means a very slow delivery process. The estimated shipping time is about 10-20 business days. That’s a lot for waiting on your replica order. If I were you I would ask if it is possible to pay extra and get the package delivered by Fedex or UPS in 3-5 business days. What is your honest opinion about a website that doesn’t post any information about its return policy? Not a good one, isn’t it? Yeah, I feel the same about this kind of unprofessional merchants. These days, you must keep a maximum transparence in order to make your customer trust you. Not listing on your site something as important as the refund, replacement and repairs policies looks like you are avoiding the subject because maybe you don’t offer such after sales services. Who in the world would buy a fake without knowing that he can return it if he doesn’t like it. I’m not sure why this merchant didn’t disclose this important piece of information, but I would advise him to reconsider this decision. Also, you shouldn’t order from such a store until you speak to its agents and confirm the refund guarantee and repairs warranty. Unfortunately, Bestwatches.cn can’t be contacted by phone number or by live chat. These instant and very helpful options aren’t available if you need to sort something out with the company. The only methods you have for contacting the customer services representatives is by email or by Contact Form. Before you order, make sure to contact customer care first and test their responsiveness and professionalism. 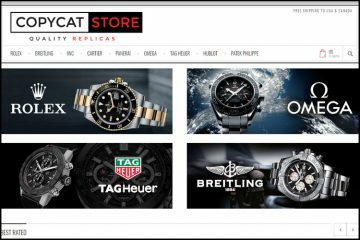 Bestwatches.cn is the place where you find a very large selection of fake watches at fair prices, where the product pictures are as beautiful as the items and where free worldwide delivery is available for all orders. So far it seems too good to be true, right? The concerns are in regards to the limited number of payment options, the lack of information about the refund and repairs policy and the lack of customer services. This being said, ordering from this store may be a very risky decision. prejudice I would recommend this site scammers , I bought a watch but I was never sent , never respond to emails. do not buy from them . Do not order from this site. Unless of course you enjoy giving money away. I’m still waiting for the watch I ordered in October 2015. Not a single reply or acknowledgement that I even exist. Once I paid…..Nothing. Hey Chris…… ha ha ha you mug! I just received mine. Beautiful watch. Rolex day date. Only tricky thing is to change the day. Other than that I’m extremely happy with it. Stones could have looked nicer but for the price I’m satisfied. I’ll post if all stays well. Seller contact is very bad. Replica of good quality. Email response was in one day. Delivery was in a week. I recommend.Don,t pay attention for this bad reviews they are fake. First time purchasing from this company. I made the purchase prior to reading the reviews and I was beyond scared as well as skeptical. However, the watch looks as described it took about nine days to arrive. My only compliant is the item didn’t come packaged in a nice box. It was packaged in plastic wrap. I’m happy and relieved it was a smooth transaction. I bought the Omega Seamaster 300, and I am hard pressed to tell this from the real deal. You’d have to take it apart to really tell. The price was about 8% of the cost of the real one. No fancy box, no instructions, but it was perfect and it just blows me away that they came through. I’m sure Omega dealers are posting fake reviews here. For the money, it was WELL worth the small risk. It came by regular mail in a week. I will be buying more from them, that’s for sure. You do know it costs about $600 to have the real one cleaned and serviced. It’s cheaper to buy this and toss it if anything happens. I ordered about a month ago a Rolex Sea Dweller Replica which arrived just yesterday. The watch looks very good from the outside without any flaws – however after wearing the watch now for over 24 hours it stops working frequently and I have to manually wind it. It seem that the “automatic” does not work properly or at all. I would not recommend buying from this company.. I made an order for a Rolex Datejust 16423 and reading these reviews after i was very sketchy, i recieved one reply from them saying “we are testing the watch” before they sent it off. Unfortunately my partner was not aware i made this purchase so she made the bank do a backcharge and when i received tracking the parcel was redirected back to them. Yesterday i made the payment again and until now i’ve had no reply to my messages. I can say i do believe that they do send out watched but the customer service is horrid. There is no direct line of contact only email or leave a message which they usually take 24-48 hrs to reply.